Dungeons & Dragons is a game that's supposed to look fun. It's a group of people, strangers or friends, getting together to weave stories and laugh and throw dice and pretend to be elves for a few hours. At least, that's the game that has made appearances in a multitude of pop culture formats, from cinema to TV. 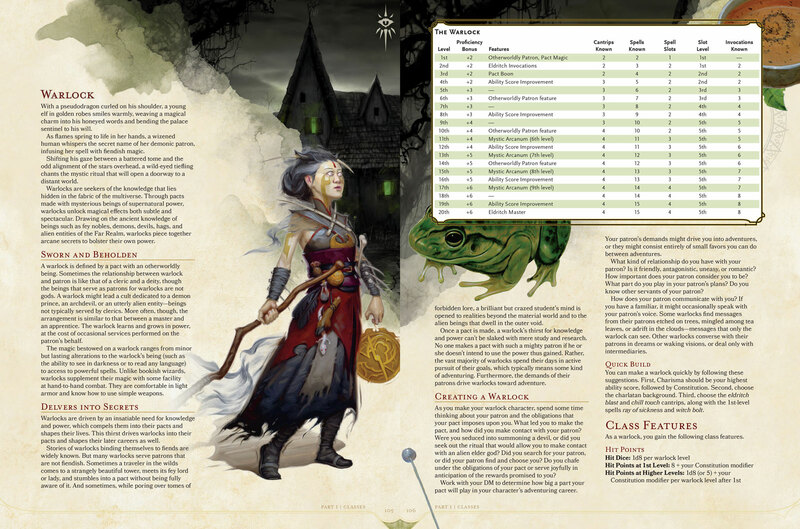 The 5th Edition of D&D fulfills the promise set by years of pop culture representation. It's a fun, fast paced game that's approachable for new players and has hidden depths for old veterans. It distills the clarity of purpose that the 4th Edition of the game had, but plays more like the 2nd and 3rd Editions of the game, faithful to the form of fantasy roleplaying from earlier eras. It has some strange game mechanics, legacies from older editions, that disappoint, but it's a lovely game packed with hours of fun for you and your friends. Most of all, it's a great game to get into fantasy roleplaying with. Dungeons & Dragons has always consisted of three books: The Player's Handbook, the Monster Manual, and the Dungeon Master's Guide. 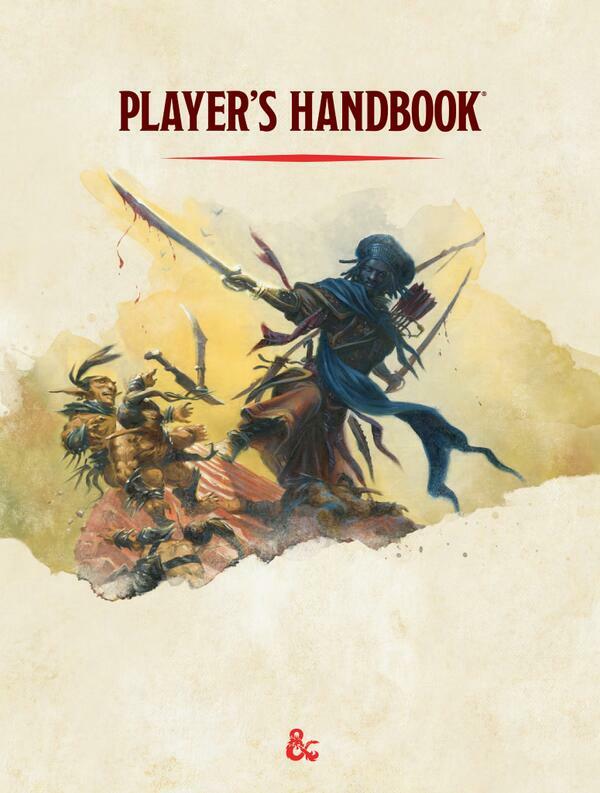 Of those, the Player's Handbook - colloquially called the PHB - has always been the keystone. It's the book that ostensibly everyone should have read. From it, you could judge the depths of the game, and that's no different this time around. The book itself is gorgeous, stacking up to the highest quality material you can find for any game on the market. It's full color, full bleed printing. The book is absolutely stuffed - but the publishers bound the crap out of it. You certainly shouldn't expect it to fall apart any time soon. The interior illustration is superb, from sketches secreted in the corners to splash images thrown across chapter and section headings. The characters are a remarkable variety of people from every kind of fantasy imaginable, though all still recognizably D&D. The layout is great, with rules and examples of play kept well away from each other. The only thing that's not nice about the book is the choice to separate the content into three parts: Creating a Character, Playing the Game, and The Rules of Magic. Those categories just clog up the bottom of the pages where there could have been more useful navigational details instead. It's clear that this book is for players - not just in the "Player Characters" sense, but in the sense of everyone playing the game. The rules here establish a base game, one that each person sitting down to the table should be conversant in. It's the basic mechanics everything has to deal with. How to move, how to take actions, and how to interact with the core dice rolls. 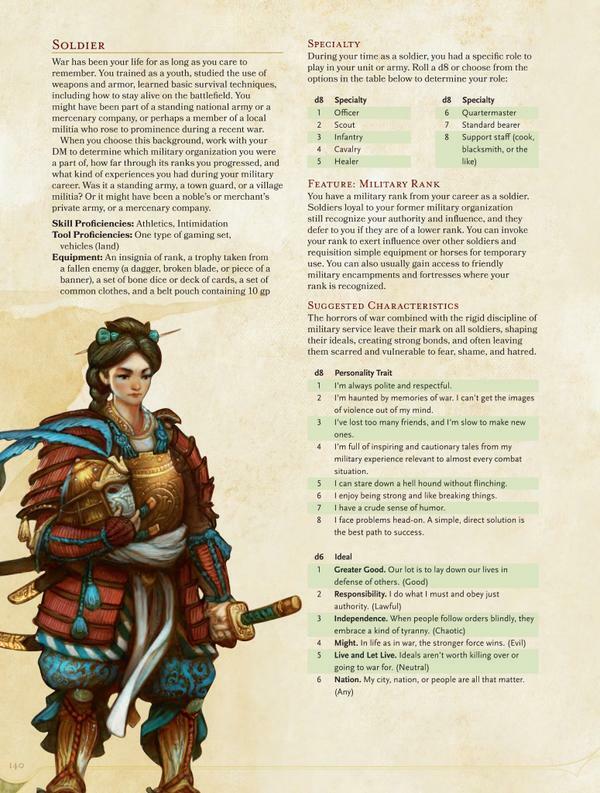 From how to go adventuring, how to use your character's abilities, and how to fight in combat. You can tell it's the core rules because the section outlining the core rules is a short, sweet 27 pages. D&D hasn't been this straightforward in decades. The brevity is helpful for new players, sure, but this book isn't going to be a good way to learn the game. 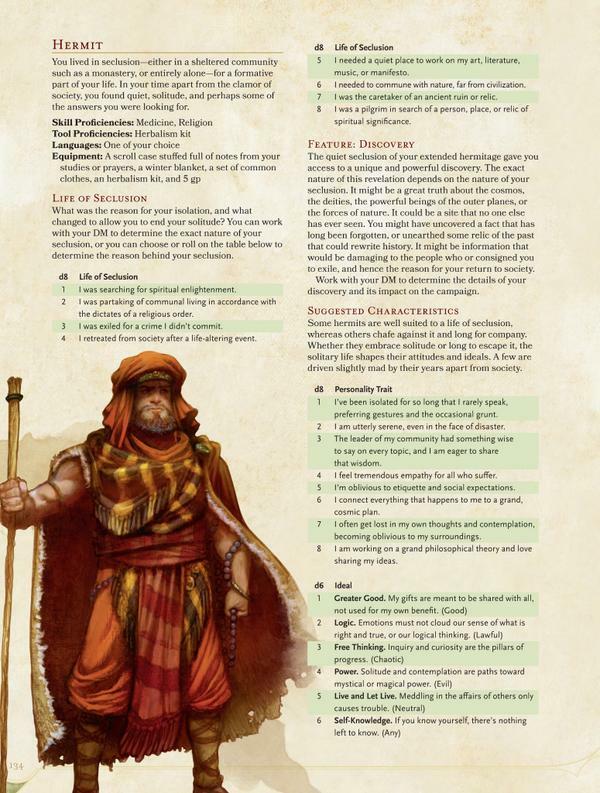 Most RPGs -D&D included - are still mostly oral traditions. You are taught the rules by your friends or other gamers at stores. 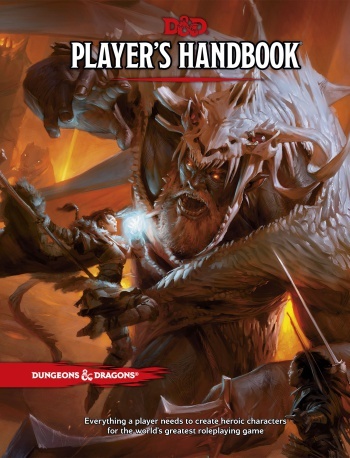 This book isn't helping teach too much aside from how to make a character, and you can tell Wizards of the Coast is leaving the job of learning to play to the recently released starter set. On the other hand, once someone has had a session at the table, this book is a superb resource for learning more about the game. The rules are laid out clearly, with little guff obscuring the precise wording. The tradition established in 4th Edition of being very clear with meanings is still alive, and that's a good thing. 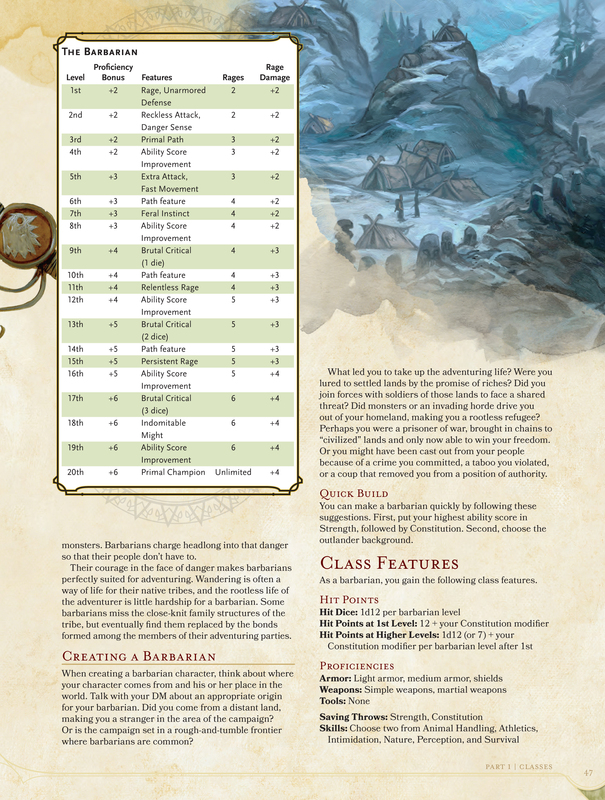 The appendices describing the multiverse of D&D, its gods, and their place in the average game are also great background that's very worthy for players looking to understand the culture of a D&D table better. Likewise, the frequent excerpts from almost 30 years of D&D fiction throughout the book serve as reminders that this is a living genre of fantasy beloved by millions of players. 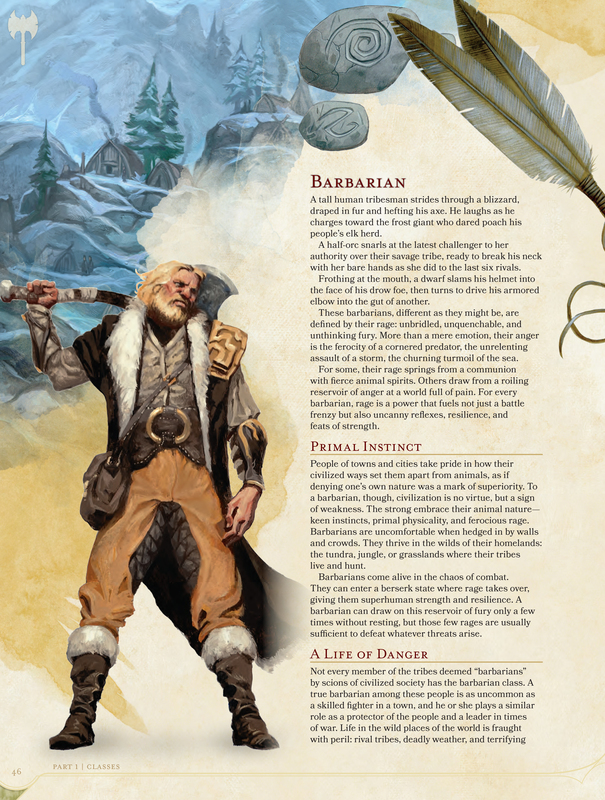 D&D is its own genre, and the parts of the book that help players understand that are not just well written, but invaluable.